This is it, today we are at the one table setup. Ronnie will face Tom Ford in the afternoon, then Mark Allen will face Stuart Bingham in the evening. In the background, the discussion around Ronnie’s “breakaway” comments continues to rage. You can read all about Ronnie’s win over Martin O’Donnell, and the raging discussion here. Leicester’s Ford scored an impressive 6-2 win over Joe Perry to reach his third ranking semi-final. He has made just one final before – at the 2016 Paul Hunter Classic where he lost to Mark Selby. World number 36 Ford made breaks of 76 and 80 in taking the first four frames. Perry pulled one back with a 121 and had chances in frame six but Ford crucially took it on the final black. 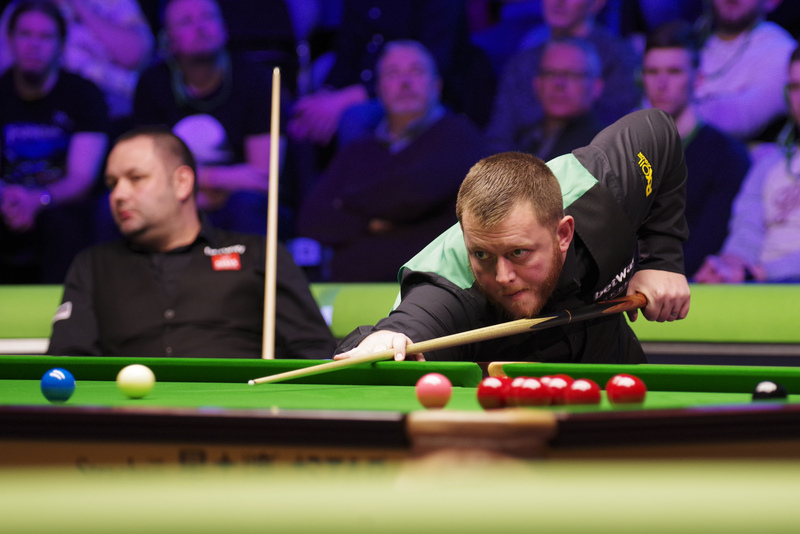 Frame seven went Perry’s way but when he missed the black off the last red at 45-56 in the eighth his chance was gone as Ford potted yellow, green and brown to clinch the result. “Joe let me off today, I expected him to play better,” said Ford. “Winning the sixth frame to go 5-1 was a big moment. Stuart Bingham produced a sublime display to brush Kyren Wilson aside 6-1 and book a semi-final spot at the Betway UK Championship in York. Despite the barnstorming victory, Bingham did have a bittersweet moment this evening as he agonisingly missed out on a 147, breaking down on 120 after missing the final yellow in the third frame. However, he won’t rue that for too long after securing a third UK Championship semi-final appearance. It’s the first time Bingham has ever beaten world number 11 Wilson, having lost all four of their meetings prior to this evening. Kettering’s Wilson will leave York disappointed that he didn’t cash in on his fine form this week, which included a superb 6-2 win over Barry Hawkins yesterday evening. Basildon’s Bingham took the opening two frames, before his near miss on the maximum put him 3-0 ahead. He then consolidated his considerable advantage by making a break of 53 to go into the mid-session four in front. When they returned, the five-time ranking event winner moved one from victory with a break of 84. Wilson responded, but it was Bingham who got over the line to secure an emphatic 6-1 victory. Bingham said: “I was fortunate that Kyren had an off day, but he was due one after beating me in our first four meetings. I just kept it tight, he made his mistakes and I seemed to capitalise on them. 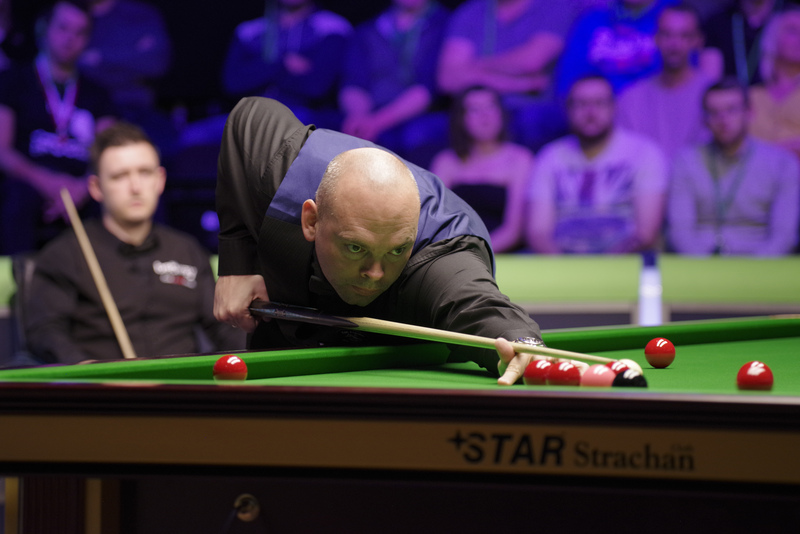 Bingham will face Mark Allen in the last four after the Northern Irishman defeated close friend Stephen Maguire 6-1 in his quarter-final tie. Allen and Maguire had only met twice in ranking competition prior to this evening. The Masters champion was a comfortable winner on this occasion, making breaks of 53 and 122 along the way. This will be the first time Allen has reached the semi-finals of the UK Championship since appearing in the final in 2011. “I started well. In the first three frames I didn’t miss many and got on top. With a 3-0 lead in a first to six the job isn’t done, but you will need to play poorly to lose from there,” said Allen. “The thing I struggled with most was playing Stephen. I didn’t get any enjoyment out of playing him at all and it felt like a hollow victory. It was all a bit strange really. Joe Perry maybe had nothing left in the tank after beating Judd Trump – he looked very flat. Kyren Wilson played really badly, looked totally out of sorts and never looked like he could give Bingham any sort of challenge. Maguire started very poorly, just like yesterday, but there was not “after MSI miracle” this time. All the matches were rather one-sided and that was certainly unexpected, especially in the evening.